April 15 is Clement Sector Day! If you've never purchased Clement Sector, now is the time to do it! Clement Sector, Clement Sector: The Rules, and all of the Subsector Sourcebooks are 50% off today and tomorrow (April 15 and April 16) only! The mystery of how so many habitable worlds could even exist in Clement Sector did not slow the number of colonists from Earth and its colonies in Earth Sector. 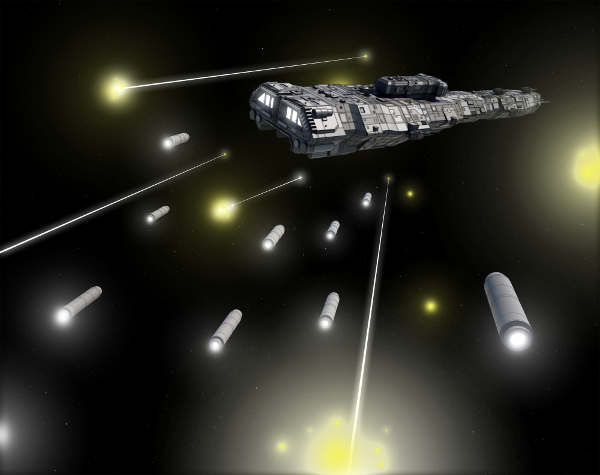 However, the events of April 15, 2331 would put a halt to colonization from Earth and leave Clement Sector and Earth Sector once again separated by over 60,000 light years. On that day, The Conduit suddenly collapsed. Those who witnessed the event say that the wormhole was there and then was suddenly gone. Over the past eleven years, scientists have attempted to come to grips with what occurred. Examinations of the area show that the wormhole is simply no longer there and no one so far has found a satisfactory explanation for the loss of The Conduit. Scientists continue to study methods of attempting to reopen The Conduit or locate another wormhole but, as of 2342, little progress has been made. Last edited by Gypsy Knights Games; April 15th, 2019 at 09:52 AM.. Reason: Forgot the link! I missed getting them on the 15th, but I did get them. I look forward to going through them.